D.: What is to be our sadhana? 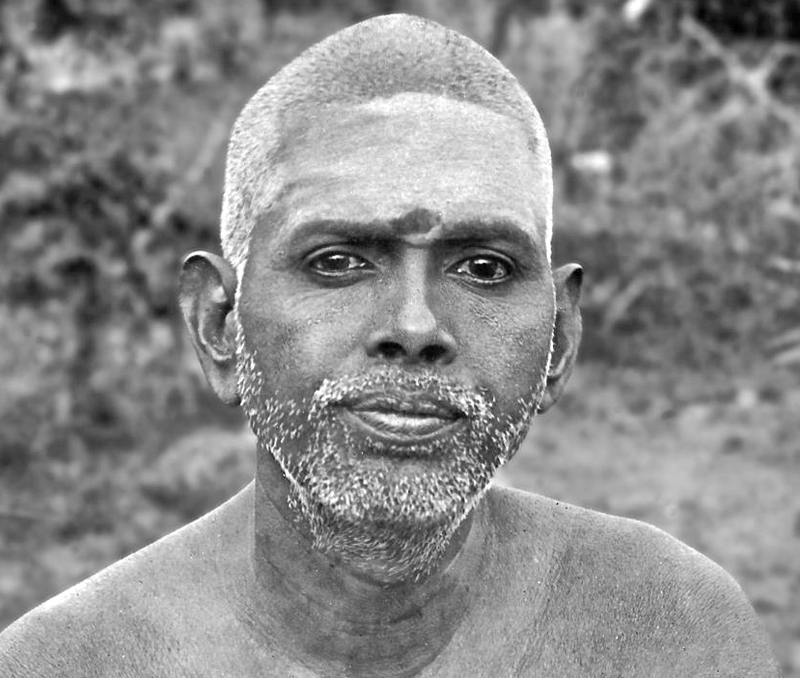 M.: Sadhana for the sadhaka is the sahaja of the siddha. Sahaja is the original state, so that sadhana amounts to the removal of the obstacles to the realization of this abiding truth. D.: Is concentration of mind one of the sadhanas? M.: Concentration is not thinking one thing. It is, on the other hand, putting off all other thoughts which obstruct the vision of our true nature. All our efforts are only directed to lifting the veil of ignorance. Now it appears difficult to quell the thoughts. In the regenerate state it will be found more difficult to call in thoughts. For are there things to think of? There is only the Self. Thoughts can function only if there are objects. But there are no objects. How can thoughts arise at all? The habit makes us believe that it is difficult to cease thinking. If the error is found out, one would not be fool enough to exert oneself unnecessarily by way of thinking. No one succeeds without effort. Mind control is not one’s birthright. The successful few owe their success to their perseverance. Effort is one of the most misunderstood terms. What it means is persistence, circumspection, honesty, active engagement, love for truth, mindfulness - all qualities that are brought about through sadhana only. They are awakened qualities of 'the state of mind called beautiful'. Bhagavan was always very practical. A mere intellectual or philosophical statement is like a menu at best. If it motivates this kind of dedication to meet our restlessness, moods and different mind states it has done its job. We do not want to eat the menu but the food. Only taking time to practice self-enquiry or some preliminary technique can lead to silence. And only silence is the basis for effective enquiry. 'A mere intellectual or philosophical statement is like a menu at best. If it motivates this kind of dedication to meet our restlessness, moods and different mind states it has done its job.' - Very true. Often the ego-mind wants to postpone meeting itself and going deeper within, it almost always resists looking into it's restlessness and mood swings, often believing in these transient phases. Bhagavan called sadhana the 'Royal battle'. To meet oneself is not always easy but in the end the only fulfillment there is. True! 'In the regenerate state it will be found more difficult to call in thoughts. For are there things to think of? There is only the Self. Thoughts can function only if there are objects. But there are no objects. How can thoughts arise at all?' - So beautifully explained!Thoughts can function only if there are objects.